Today, EC-Council launches their highly anticipated Certified Network Defender qualification. This exciting new certification focusses on developing the critical skills needed to protect, detect and respond to attacks on your network. A much needed skillset in a world plagued by cyber attacks. In this post we'll take a closer look at the certification and why it's so crucial for the industry. In today’s growing technological world, organisations are painfully aware threat of cyber breaches and the inadequacies of their preventative measures. In fact, a Government study has found that 51% of UK businesses experienced a security breach in the past 12 months. UK Digital Economy Minister Ed Vaizey emphasised just how “crucial” security is, with “too many firms losing money, data and consumer confidence” as a result of the vast number of cyber attacks. While the number of cyber attacks spawn rapidly like infectious bacteria, the demand for individuals certified in cyber security has far out paced supply. Findings suggest that 7 of the 10 cyber breaches on UK companies could have been prevented, pointing at a lack of industry knowledge. Furthermore, 28% of organisations experienced a shortage of network security specialists and by 2019 its expected that the demand for cyber security skills will triple the supply of personnel available. What can the CND do? Why is it that some businesses lock their doors and put on an alarm, yet they leave their most valuable data completely unprotected? A businesses network is a businesses first line of defence against cyber attacks. Unfortunately, set up incorrectly, it can be an open to door to cyber criminals. Once they're in they can infect your database, install ransomware and compromise your applications. The CND, built from a common body of knowledge, focusses on defence. It is made up of 14 of the most current network security domains, aimed at upskilling network administrators with the knowledge and skills to protect, detect and respond to network security threats. As network administrators are familiar with network components, traffic, performance and utilisation, network topology, location of each system and the security policies, they can play an increasingly significant role in becoming the first line of defence for any organisation. So what makes the CND so special? The course is made up of 50% hands-on labs and practical work. The benefit of this skills-based, lab intensive program is that you gain invaluable real-world experience in the event of a real breach. 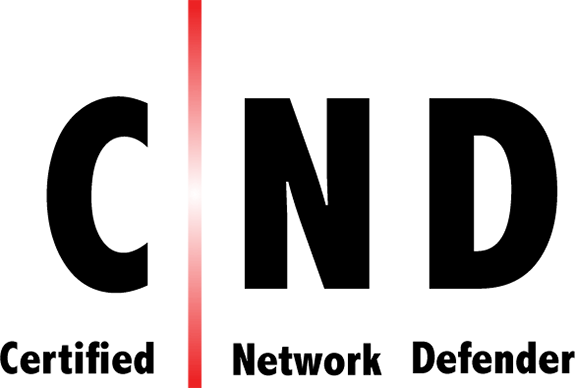 Unlike many other certifications, the CND course has shifted its focus from the technology used in security, to the operations and processes involved in securing a network. EC-Council liken this focus on operations over the transitory technology to learning mathematics without a calculator. Rather than mindlessly using technology, you’ll learn the why and the how. The benefit of this is that you’ll develop a more holistic, in-depth understanding of security that can help you better protect your organisation. Additionally, the CND being a vendor-neutral certification speaks again to the wide audience this certification will benefit as it means the skills can be taken away and transferred to the various technologies organisations use. Available now, Firebrand is delighted to launch the accelerated CND certification course alongside EC-Council. 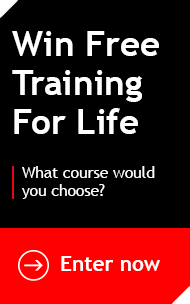 The course will be 4 days in duration including the exam, 20% faster than traditional training. As an official provider of EC-Council certifications, you will benefit from certified instructors, and official material giving you the best chance to pass. Having just been awarded EC-Council Accredited Training Centre of the Year for the eighth successive year, you know you're in safe hands. The Certified Network Defender credential has replaced EC-Council’s ENSA v4.0, which is set to be retired on March 13th 2017.